We are listed amongst the renowned organizations in this domain, engaged in offering a superior quality range of Door Handle Solid Brass Metal. Established in the year 1998 at Aligarh (Uttar Pradesh, India) as a Sole Proprietorship Firm, we “Aakrati Brassware” are well-renowned Manufacturer, Wholesaler and Exporter of the best quality Religious Metal Figure, Brass Sculptures, Decorating Hanging Products, etc. Under the guidance of “Hanumant Ram Gandhi (Managing Director)”. we have achieved a unique position in the industry. we export our products to USA, Belgium, Canada, Australia and Germany Countries. We can make customise items from image, diagram and 3D file as required. We provide different finish like, Antique, lacquare, Patina etc. 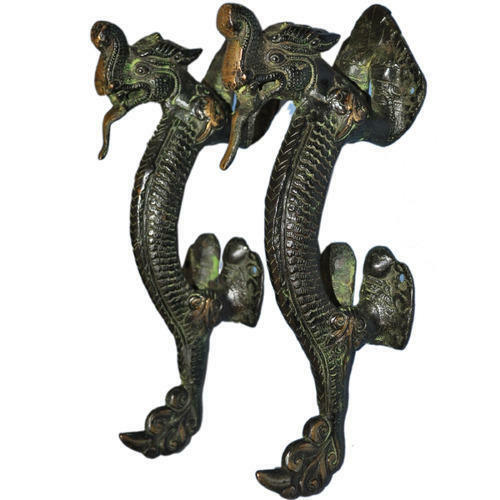 Our product range: Brass Statue, Brass Sculpture, Bronze Sculpture, Metal Animals, Decorative Figure, Table Showpiece, Religious Figure, Indian God and Goddess Statue, Planter, Book stand, Door Pad Lock, Door Fitting, Hardware, Door Handle, Door Knocker, Door Knob, Wall Hanging, Wall Hook, Key Hanger, Diya, Swing Chain Sets, Worship idols in metal and so many Home Decor Prodcuts. We accept all type of payment online through netbanking and cards, We also accept at our showroom all VISA, Master and Rupey Card as payment also PayTM and PayPal.